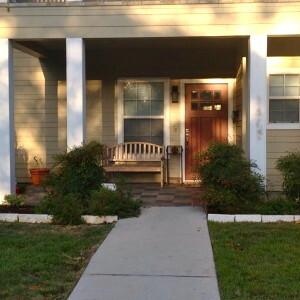 What an exciting project! 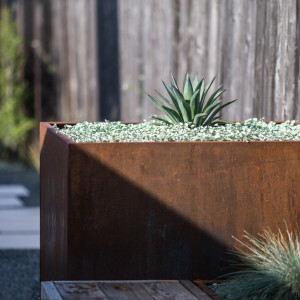 For this project we needed to solve the problematic space for a growing family to merge two areas – one for the adults and one for the kids. 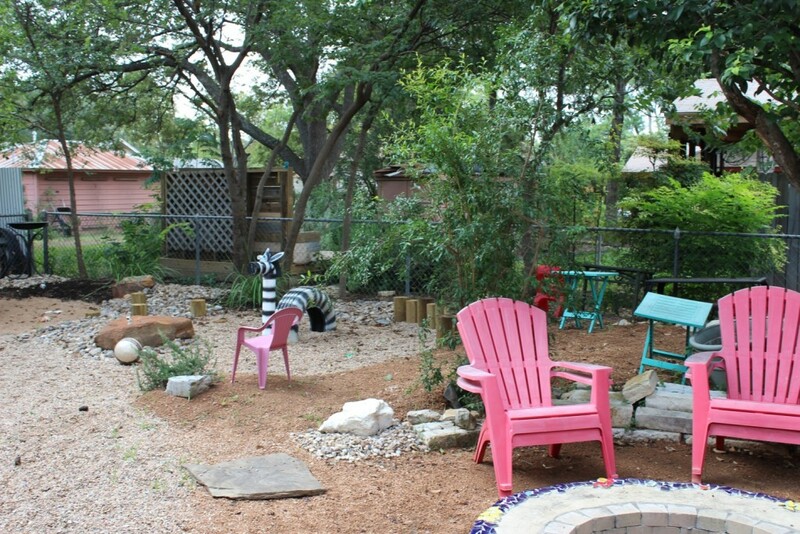 In these photos you will see how we seamlessly created one great space for the whole family to enjoy! 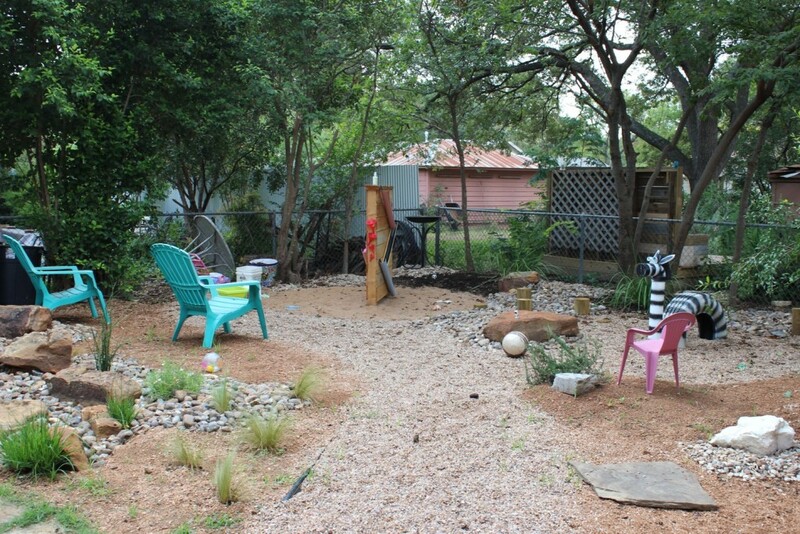 We used recycled and reclaimed parts for the kids space, and repurposed the existing fire pit to give it new life! The end result was a stunning eclectic mix of garden toys for the kidos, and a relaxing landing around the fire pit for the adults to enjoy! 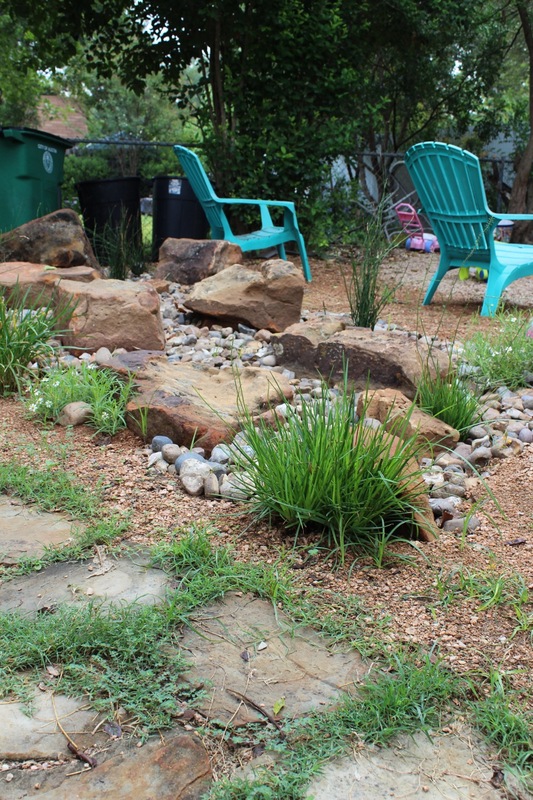 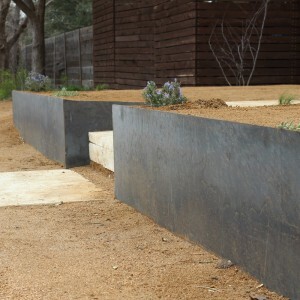 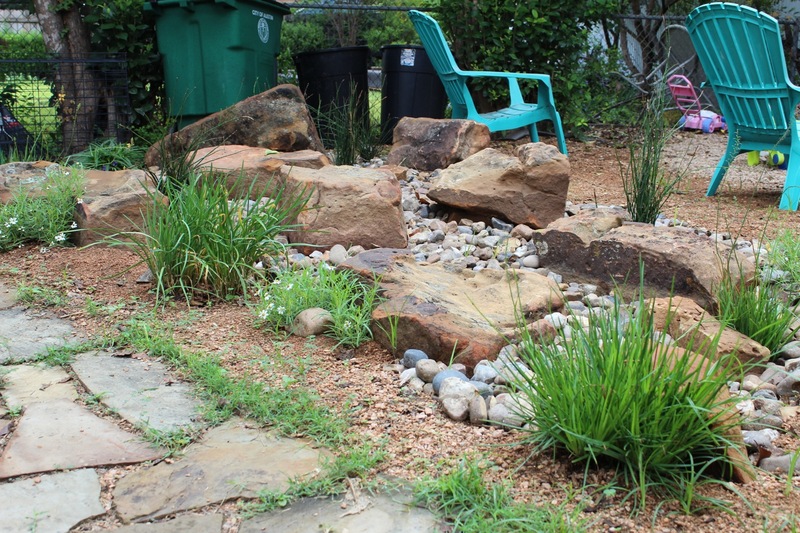 Here we implemented a dry creek bed for interested for the kids, but as a visual barrier to divide the kids space from the rest of the landscape. 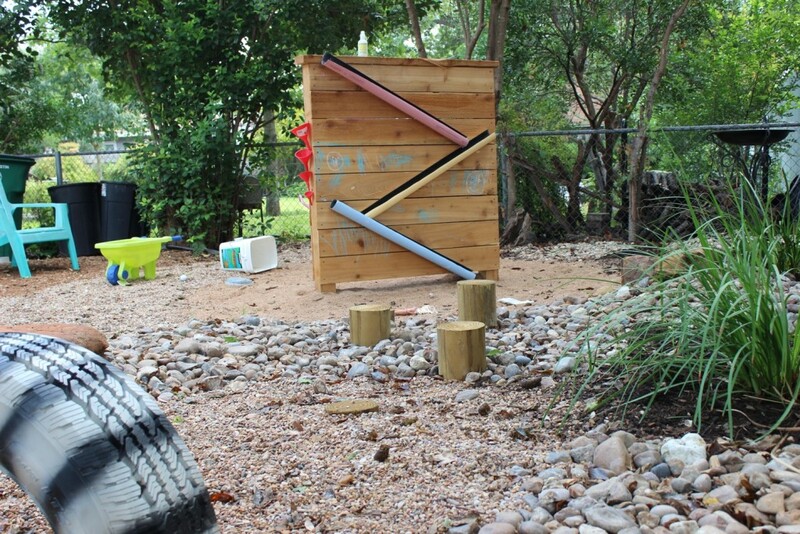 Here we use some reclaimed woods, and PVC pipes to create an exciting sand wall! 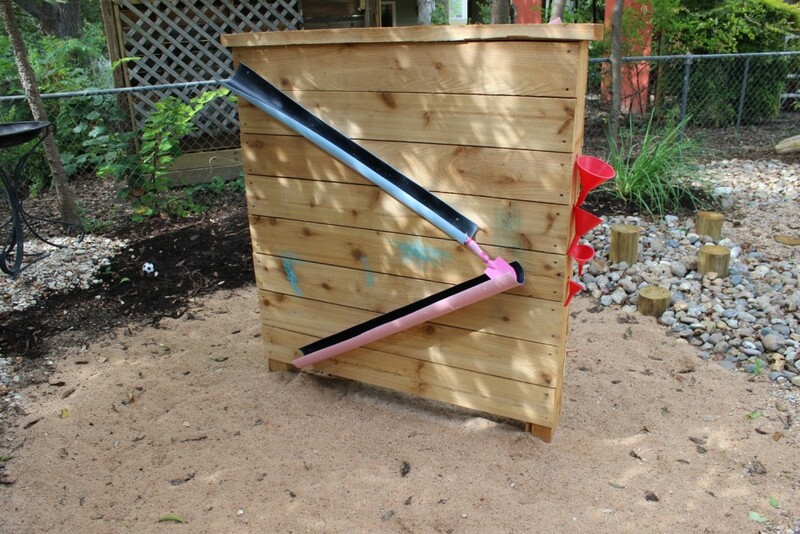 There were also old pieces of wood that we used as fun stepping posts to get from one exciting place to another! 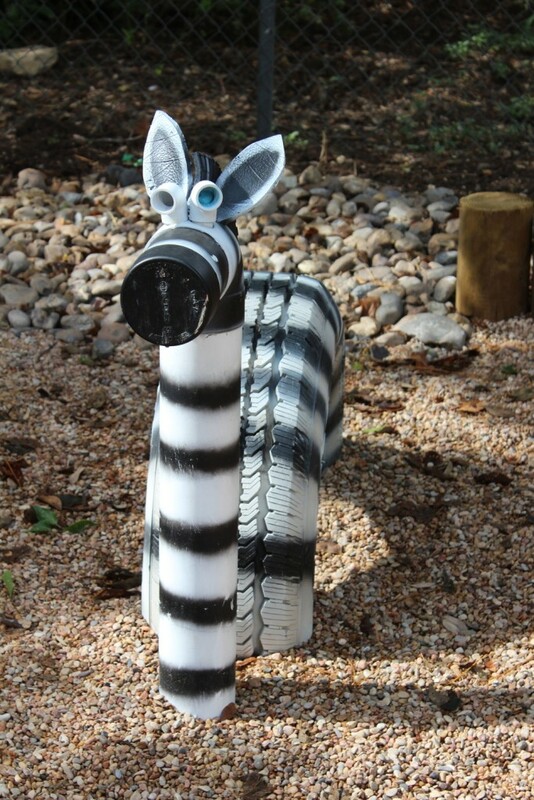 What a Zebra! 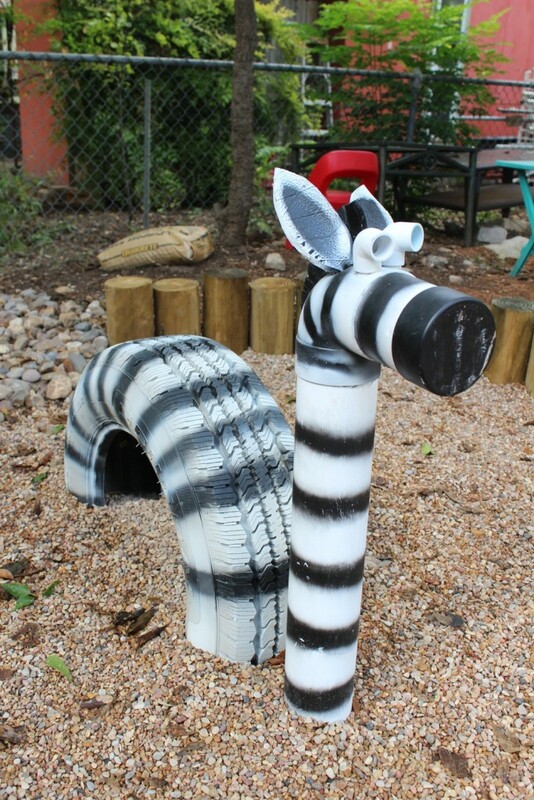 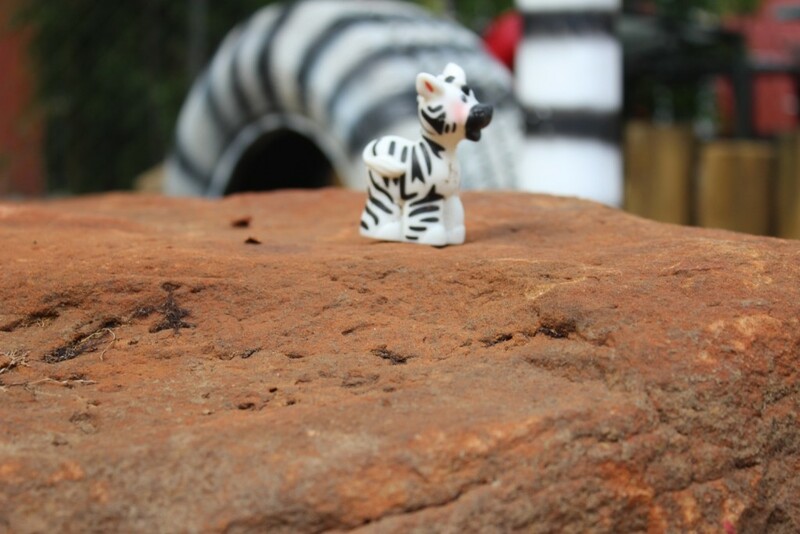 This Zebra was created with an old tire and PVC. After scrubbing the tire clean to use as the main body, we managed to use one last recycled piece of PCV for the neck and head!